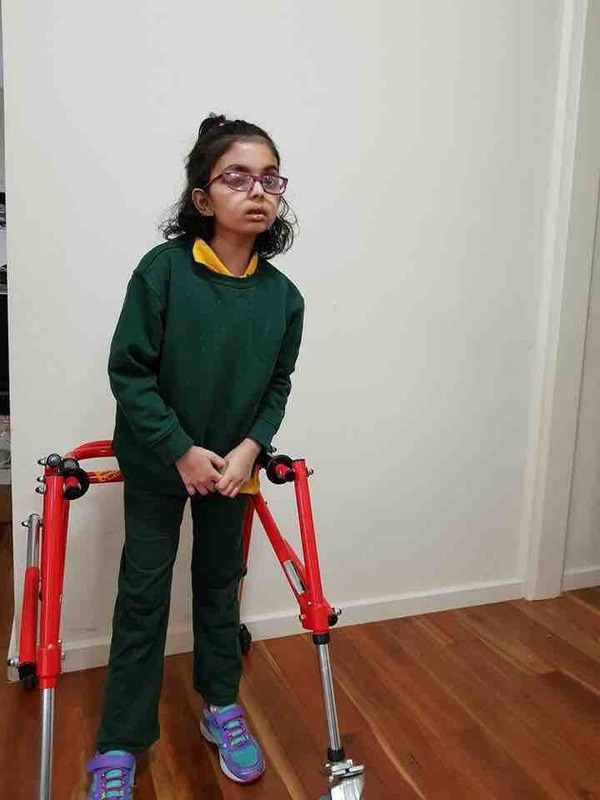 We are two Mums from Carrum in the South-East suburbs of Melbourne hoping to help a local family whose daughter Riaa Kulkarni is in Grade 2 this year at Carrum Primary School. Sadly, this family is experiencing indescribable difficulties concerning the health of their child. In August, 2016, Riaa was suddenly diagnosed with a form of brain cancer called DIPG. DIPG is rare in children and is a fast-growing cancerous brain tumour that causes deterioration of basic daily functions such as eating, walking and speaking. Her treatment is being managed by the Monash Children's Hospital. Unfortunately, all available treatment options, including radiation therapy, have been exhausted. Riaa attended a clinical trial in Sydney for 6 weeks, However, due to the rapid growth of the tumor, and Riaa's inability to continue to tolerate the chemotherapy, this has been suspended. If you have any concerns or questions, please do not hesitate to contact Brooke Baxter or Louise Childs. It has been sometime from the last update. Apologies but it is crazy schedule we are juggling. Radiation is now over and Riaa is feeling much better. She goes to school 2 hours every day. Hope this effect lasts longer than promised which is few months. We will continue Mexico treatments after radiation is weared off as there is too much inflammation in her brain. Vivek is going to Mexico to get her supplements and medicines as we need to continue maintaining her strength and immunity. The costs are $8000 for 3 month supplies.. please continue to raise funds and share the link below Thank you all for your support and love. Riaa is now reaching mark of 2 years post diagnosis becoz of your prayers and support. Heartfelt thanks for helping me keep my daughter alive. I am blessed to have known each one of you. I know its being a while since an update has been put. Lot of decision making to do as Riaa will be getting NDIS supports soon. She has declined a bit more in her speaking nd swallowing but her spirit is resilient. Watch her trying to have fun with walker. She is trying to spend few hours at school every day. 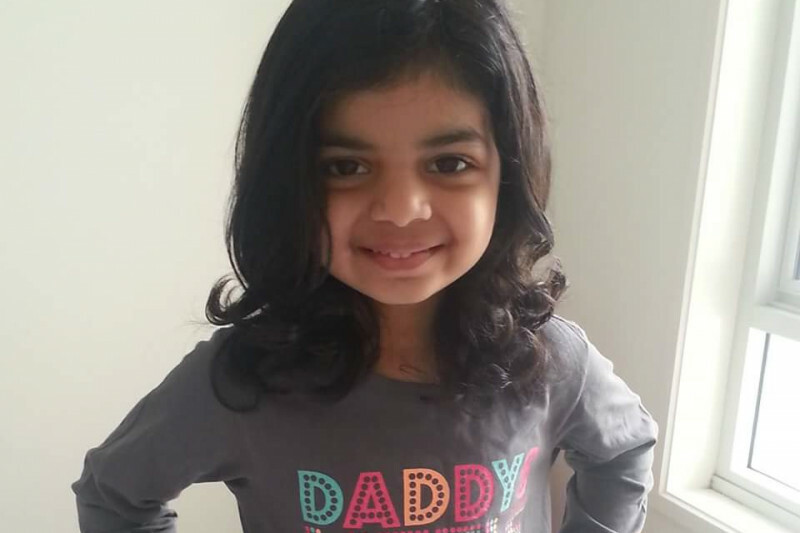 Please continue your love and support for little riaa and continue to hope for her towards total cure. We returned back home today after completing her 11th IA from Mexico. Doctors said tumor is now stable and have given some additional medication to enhance the efficacy of treatment. Riaa recovered well but is severely jet lagged due to such a short visit. Doctors have made some changes to some drugs and we are hopeful it will help her further. 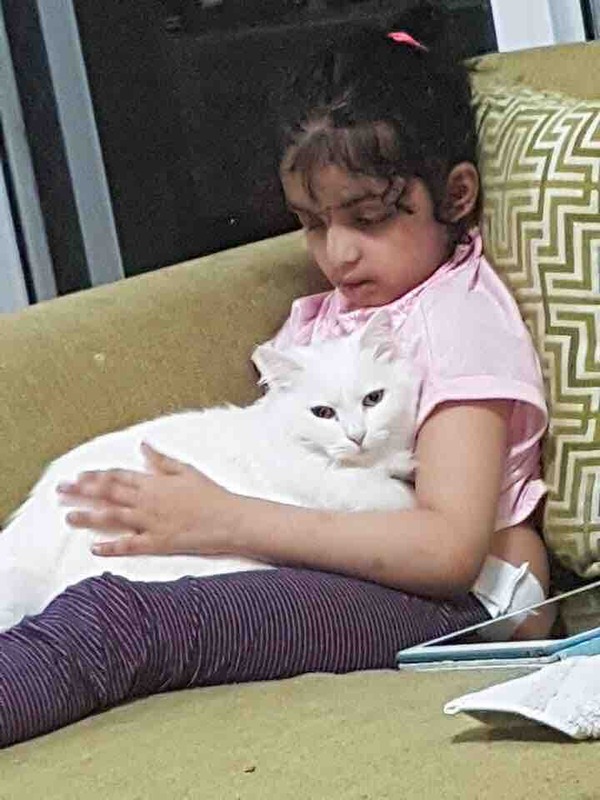 We really hope it works as we are pained to see Riaa struggling with her daily tasks like drinking water which is now given in thickened form, eating meals take longer and balance and walking. We are grateful for all your support to make these treatments possible. Riaas path to recovery is long and ardous so please dont give up on us and continue fund raising and donating. Birthdays are always special and Riaa loves to plan her birthday party. This time she had an art party, pamper party and cup cake decorations with her cousins in Sydney. We fulfilled all her wishlist as unfortunately in this disease we never know if we get another birthday. We are hopeful and continue to put our faith in our doctors at Mexico but this wont be possible without funds. So we appeal you to go above and beyond your efforts to donate or share link so that Riaa can have her next birthday. You are fine riaa and parents ! The take off and landing and even the turbulence during the journey of life is beyond our control. But our choice of what we do during this journey is in our control. Let's choose wisely ! Send me pictures from the holiday Say a prayer and Make it grand, make it worth ! Get well soon Riaa and send us all some photos of you running around. Our prayers and support are with you and your family. Louise/ Brooke - Can one of you kindly confirm this cause is still open? A Naperville-based friend of mine directed me to check this page, but I noticed that the update & last donation are a few weeks ago. Hence, the need to double-check. Look forward to a confirmation. Cheers! Ushma. Why don't you contact an Indian embassy and maybe you can get some help. Hoping your lovely daughter Riaa gets well soon. Beautiful smile! So good to hear that you are keeping up with your studies and homework. You are in our prayers. God bless you little angel. Dear Ria and Rias family Gods blessings be showered on you all,have strength to carry on.Ajita and Bikram. Praying for the speedy recovery of Riaa...!!! Please advise them to apply for a grant for funds from www.gracelovestogive.org We offer assistance for alternative treatment funds. I had the pleasure of meeting both Riaa and Vivek on a flight back from Dallas some months ago. What beautiful and inspirational people. I haven't been able to get Riaa and her families courageous plight out of my mind and think about them regularly. I hope they can continue this journey and fight with the help of others and look forward to hearing of beautiful Riaa's progress. Niki (Qantas flight attendant). Much love and well wishes.